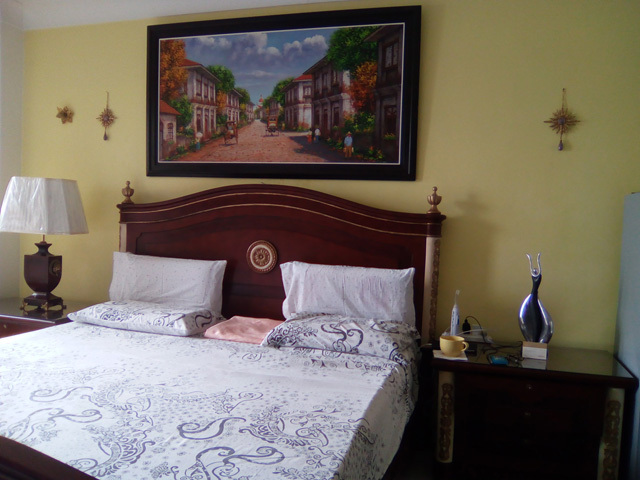 For rent studio apartment BOUGAINVILLEA 62, with a floor area of 25 sqm, furnished located in Bougainvillea subdivision Basak Lapu-Lapu City, furnished at 10,000.00 per month. Walking distance to Gaisano Grand Mall. Less than 10 mins to the Mactan Beach resorts. 5 Mins to Mactan Doctors hospital. For sale studio Mactan Condo 236 located at The Residences One Movenpick Mactan Island Cebu, Punta Engano Lapu-Lapu City . It offers sea views on the Shangrila Hotel side. It is semi-furnished having a floor area of 38 sqm (407 sq.ft.) approximately. Owner of this Condo enjoys free use the Movenpick beach and pool, discounted rate at the different shops/boutique inside the complex such as fitness gym, spa, specialty restaurants/ bars. It is like living in a 5-star hotel resort complex whole year round. Movenpick is located in Punta Engano Lapu-Lapu City about 10 mins from the Mactan International airport, Mactan export processing zone (MEPZ), Save More supermarket in the Marina Mall, less than 5 mins to the International Academy for Film and Television (Bigfoot) and Mactan Newtown Center ,approximately 45 – 60 minutes to to Cebu City. For SALE, 1BR Movenpick CONDO 283 located at The Residences 1 Movenpick Hotel Mactan Island Cebu. This unit is fully furnished offering sea views on the Shangrila side. Owner enjoys free use of Movenpick’s white sand beach and swimming pool, discounted rate at restaurants/ bars. You can order food from your unit and it will be delivered to you. It is like living in a 5-star hotel resort complex whole year round. For sale 1BR Mactan Condo 173 at Residences Two of Movenpick Hotel Mactan Island Cebu Resort. 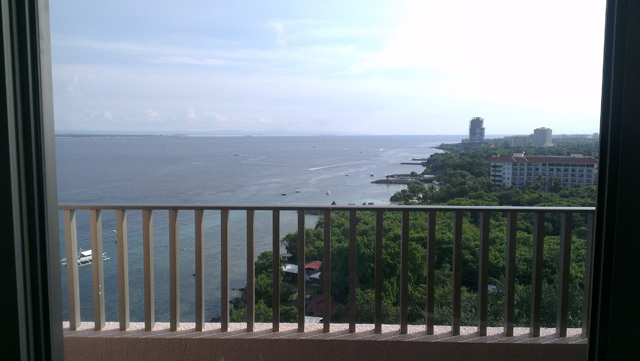 It is a fully furnished unit located in the mid floor, offering nice sea views on the Mactan Shangrila Hotel side. Floor area is 60 sqm or 642 sq.ft. Owner of this condo enjoys free use of the Movenpick Hotel swimmimg pool and white sand beach. Its like living in a 5-star resort complex 365 days a year. For rent 1 bedroom (72 sqm floor area) Cebu City Condo 379 located at Sedona Parc in Cebu Business Park. It is a fully furnished unit with 2 bath rooms, laundry room, fully functional kitchen, spacious and open living and dining area. It is actually a 2-BR unit but for rent as a 1BR unit. It is more spacious than a standard 1BR unit . Amenities in the building includes swimming pool, gym, etc. The units comes with parking. Sedona Parc is located inside Cebu Business Park which the main business district of Cebu City. 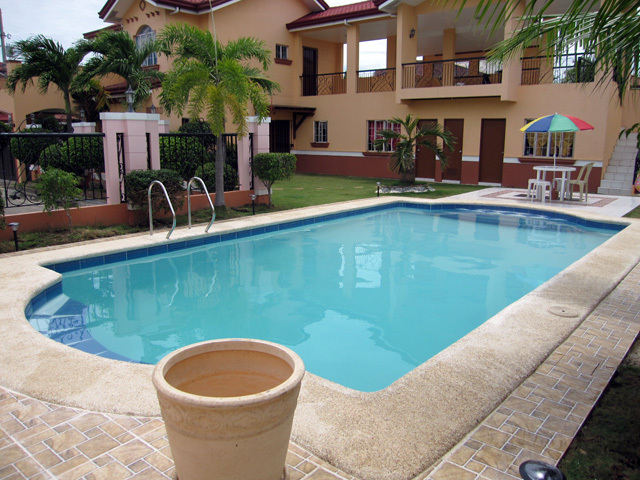 It is walking distance to Ayala Mall, City Sports complex, etc. For rent at 45,000.00 per month plus condo fees and utilities. 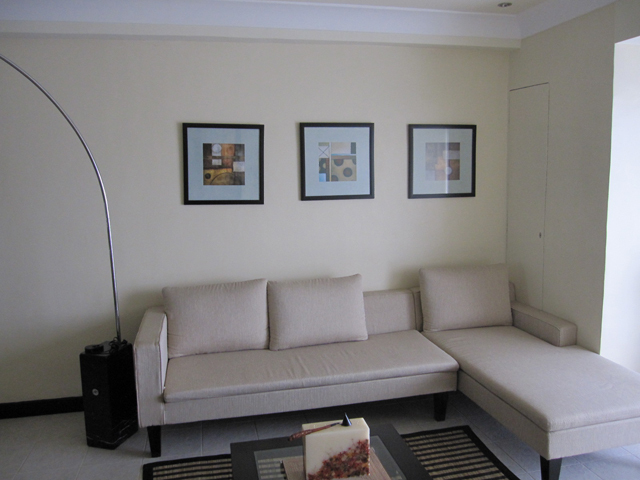 Other condominiums for rent: Solinea studio 30k /mo, Avida studio 22 sqm 25k/mo., 1 BR Azalea Place 35 sqm 35k/mo.